Howlin' Wolf Records: SIX STRINGS: Golden Joystick Awards Nominated "Project CARS 2" Music composed by Stephen Baysted, performed by London Metropolitan Orchestra and Mezzo Soprano Susan Legg. 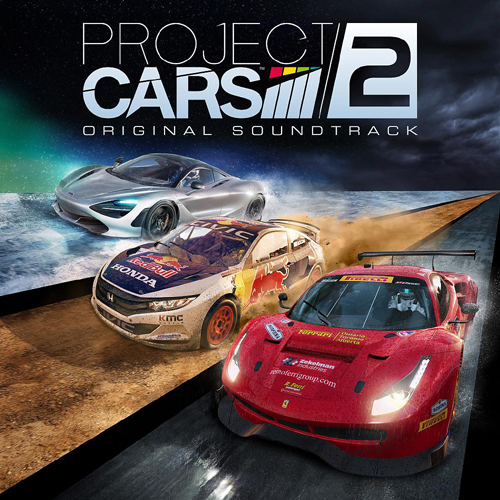 Golden Joystick Awards Nominated "Project CARS 2" Music composed by Stephen Baysted, performed by London Metropolitan Orchestra and Mezzo Soprano Susan Legg. Red Rocca releases the cinematic soundtrack for Project CARS 2, the next evolution in the award-winning racing series developed by Slightly Mad Studios. The epic, neo-classical operatic score by English film and television composer Stephen Baysted was recorded with the London Metropolitan Orchestra at AIR Studios and features the vocal talents of lustrous mezzo soprano Susan Legg. Nominated for Best Audio in the 25th Golden Joystick Awards (vote here), the Project CARS 2 original soundtrack is out now on Spotify and iTunes. Renowned for his versatility, emotionally charged and expressively powerful music, Stephen Baysted's acclaimed music scores have been enjoyed by audiences worldwide in a succession of award-winning films and video games including the 2015 best-selling racing title Project CARS, EA's Need for Speed series and Phil Grabsky's 'Exhibition On Screen' series of films bringing blockbuster art exhibitions from galleries around the world to the cinema, in stunning high definition. For Project CARS 2, Baysted reprises his role as composer and audio director for Slightly Mad Studios. "For as long as I can remember I've been mildly obsessed by cars and a big fan of motor racing, so to have the opportunity to write music which involves both passions is fantastic. My approach, and the underlying aesthetic of the music, is to try to capture the range of human emotions and the psychology of the racing driver; why is it that these brave individuals risk their lives in their unerring pursuit of victory? What motivates racing drivers to go faster and to brake later than their opponents even though it could cost them everything? I interviewed several racing drivers to get a real sense of how they think and how they approach racing, and one of the most telling statements came from Ben Collins (racing driver and former BBC Top Gear Stig): 'The fear of losing is far greater than the fear of being hurt'. Those are the questions I began with and as a consequence the score is dramatic, epic in scale and scope, and at times reflective but always emotionally charged." Project CARS 2 is available now worldwide for the PlayStation 4, Xbox One & PC.